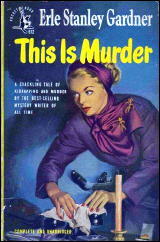 » Mike Nevins on DASHIELL HAMMETT, ERLE STANLEY GARDNER & BERNARD HERRMAN. 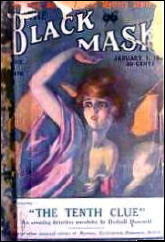 It’s “Clue” on the BLACK MASK cover, but “Clew” inside! That’s something I find so odd in Golden Age detective fiction from the 1920s and into the 1930s. Clue is spelled “clue” in Britain but “clew” in the US. For some reason, what I always thought of as the archaic form of the word was preferred in American mystery (was this true in other writing as well). By the way, an edition of Hammett’s non-fiction crime writing is supposed to be out in July. I really hope this includes all his crime fiction reviews. For eighty years now people have been satisfied merely with citing his bashing of The Benson Murder Case, but he did a lot more reviewing than that! 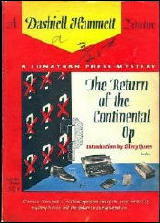 I have always believed Dannay’s greatest contribution to mystery fiction was not Ellery Queen but his part in keeping the short story mystery format alive. However, the thought of him rewriting a single word of any author’s work without the author’s approval is wrong (but not that unusual either). But considering Hammett’s apparent low regard for his own work, I doubt Hammett cared. Amazon.com has THE CRIME WAVE: Collected Non-fiction by Hammett for sale for only $20.00. It’s due out in July and looks like a must have book for all lovers of mystery fiction. Yes, Walker, I think Hammett’s reviews are a valuable resource (not to mention other writing that might be in there). I’ve got all of them from the Saturday Review and they paint a really interesting picture of what he thought about the detective novel. It’s really surprising to me that they’ve never been collected. People may not know all the books he reviews, but, still, it is Hammett! I pulled out my copy of the Jonathan Press edition of Return of the Continental Op and was surprised to see that Hammett’s original ending appears in that edition as well. I had always assumed that the Mercury Press collections contained Dannay’s “retouched” texts, and had made a note to that effect in my Digest Index. Obviously these books need a second look. Fascinating comments! So my hunch was wrong, and the Dannay version of the ending was dropped before Hammett got out of the military. 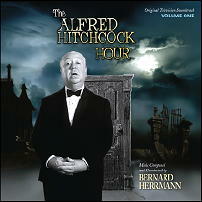 Might this mean that Lillian Hellman made him put back the original? It might also mean simply that Fred had second thoughts about the propriety of rewriting Hammett, but since over the years he continued to tinker with the texts of other stories he reprinted, including authors of the stature of Woolrich, I don’t think this is the answer. 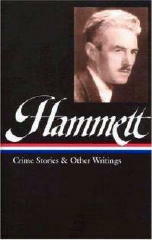 So far, I’ve compared the texts of about a half dozen Hammett stories as they appeared in the Dannay-edited digests against their original magazine appearances. The changes range from none to considerable. In the post that Don put up today, I discuss the possibility that not all of the edits came from Dannay. Some seem to derive from their reprinting in various newspapers by King Features Syndicate in the 1930s. 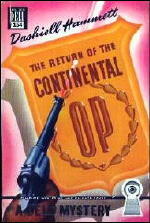 I also speculate as to whether Hammett was involved in any of these reprints.